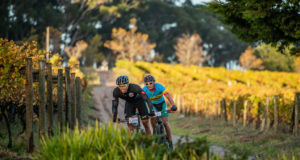 The husband and wife pair of Dana and Sanet Coetzee won the men’s and women’s titles at the Bestmed Sondela Mountain Bike Classic, which took place at the Sondela Nature Reserve outside Bela-Bela in Limpopo today. Dana Coetzee completed the 60km feature race in 2:05:06 to push Brendan Havenga (2:08:53) and Izak Strauss (2:11:22) into the minor placings. The 32-year-old from Pretoria said the pace had been fast from the outset with a small group of riders arriving at a stretch of what he termed “horizontal climbing” after 5km. The former professional said he dropped back to wait for Strauss, his teammate, after which they worked together to haul in the two leaders. 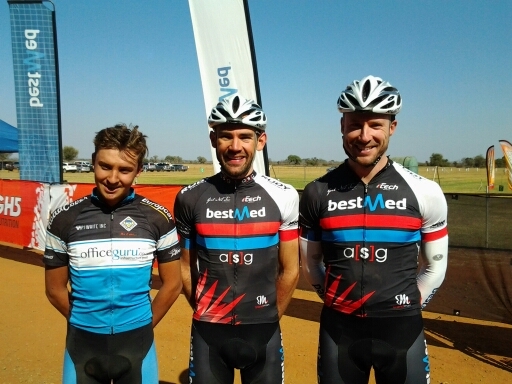 The Bestmed-ASG Vets rider said they stayed together until hitting a section with steep climbs and technical sections after about 25km. He said he almost lost his advantage when he took a wrong turn, but quickly self-corrected. Coetzee, who returned to racing last year after a hiatus of four seasons, said he found the course quite challenging. “Many serious mountain bikers think this is one of the easier races and end up not wanting to do it because they think there are not really any climbs. “But there are a lot of short, steep sections and the part through the valley is very technical,” said the winner of the 30+ category at the recent Vets and Junior Tour in Mpumalanga. His spouse, who won the mixed section at the recent Liberty Waterberg Encounter over the same terrain, easily outclassed her opponents. She stopped the clock in a fast 2:18:09 to win the title ahead of Annelie Cronje (2:40:35) and Alma Bester (2:44:27). “My main focus was to stay in front with the guys and use them to pace myself,” said the defending champion from Team Bestmed-ASG. The 33-year-old said she enjoyed the technical Bushveld terrain. She said the sandy section of the course had again been a challenge, but that it was all about keeping momentum. 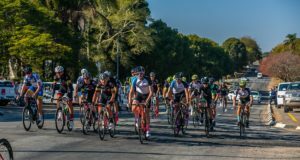 The professional mountain biker and road cyclist said she would now shift her focus to the road to prepare for the Bestmed Jock Classic in mid-June. Saturday’s 40km race was won by Gary Hulbert (1:25:05) and Alma Bester (1:34:32) respectively, with the 20km event going to Ullrich Gildenhuys (44:11) and Louise Groothof (54:14).